In February, Ayanda Jiya released "Falling For You," a love song that's equal parts soothing and banging, thanks to the heartwarming lyrics and a mean bass-heavy beat from Zeph Beats. About two months later, the South African R&B; singer returns with visuals for the stunning visuals for the song, which features the rapper A-Reece. The music video is directed by Cape Town-based director Motion Billy. 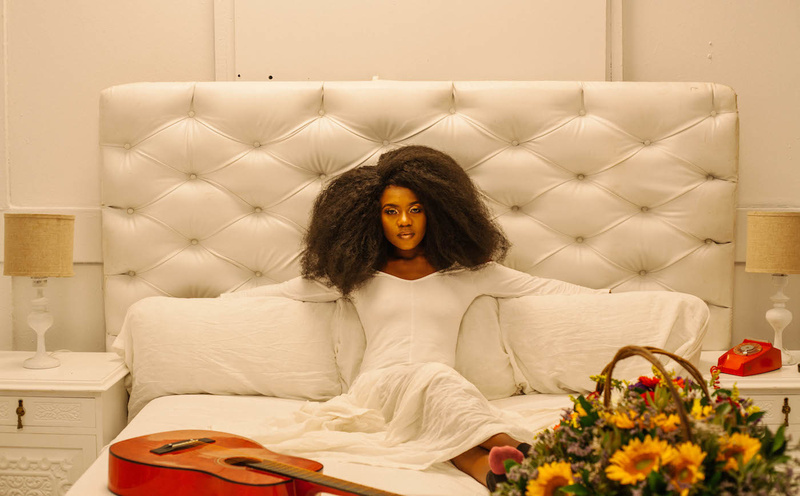 The visuals are clean, and are based on two colors—when Ayanda isn't performing among white balloons against a white backdrop, she's performing in front of a red one. Probably to signify love. Ayanda Jiya has been bubbling under for the past few years, appearing on songs by the likes of Ralf Gum, Stogie T, Ginger Trill, Lady Zamar, A-Reece and a few more. And don't sleep on her solo projects either, Love Supreme (2015) and To Whom It May Concern (2017). "Falling For You" is the first single to Ayanda's upcoming debut album Ayandastand, which will drop sometime this year. Watch the music video for "Falling For You" below, and download the song here or stream it underneath. Follow Ayanda Jiya on Twitter, Instagram and Facebook.